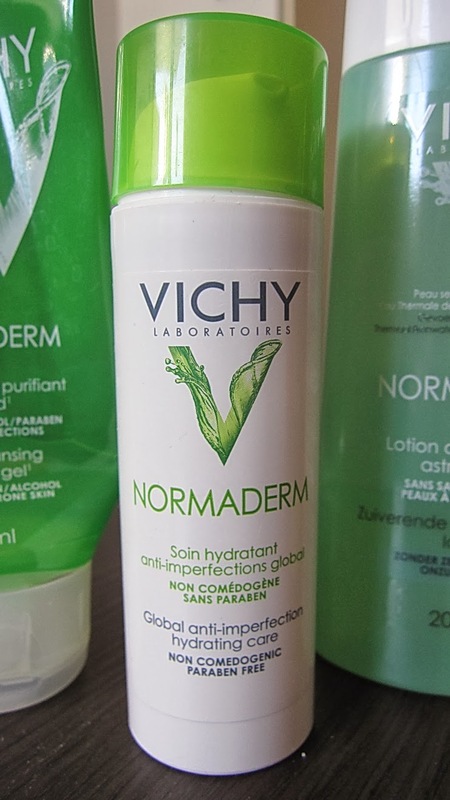 I've been using this Vichy Laboratoires Normaderm range for 9 weeks now, which i think is a long enough period of time to warrant a creditable review. Or maybe i just can't wait any longer. 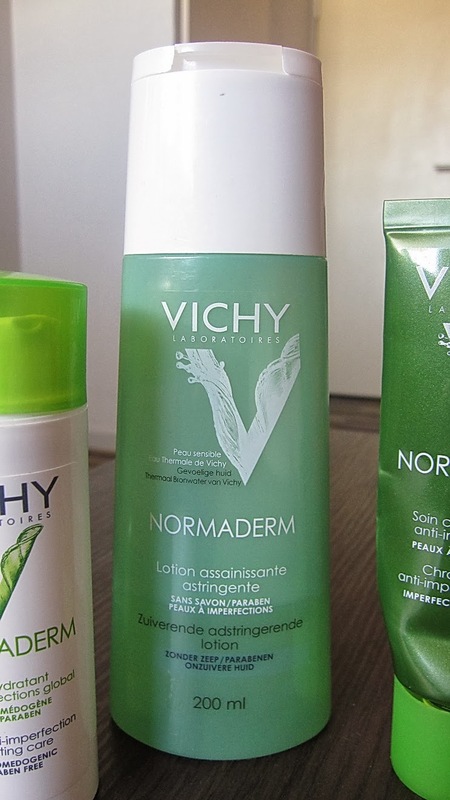 From what i've gathered, Vichy is such a respectable skincare brand and is one of the most famous pharmacie brands there is in France. But sadly, oh so sadly, this range simply did not work out for me. 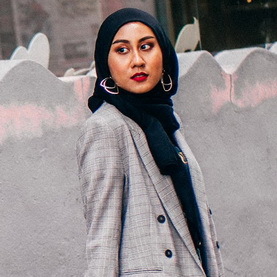 As badly as i wanted it to—because seriously, that would end my lifelong search of finding the perfect products for that perfect skin—i'm just going to have to quit using them. I usually read reviews before i purchase any product. 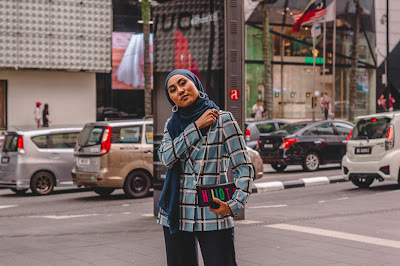 To be honest, if there are only 50% reviews saying the product is good, i would hold on to the hope that i belong to the half that raves about the product, and i would purchase it. Like this product; there are people saying this range worked wonders on their skin, but others say it either does nothing for them or makes their skin worse. 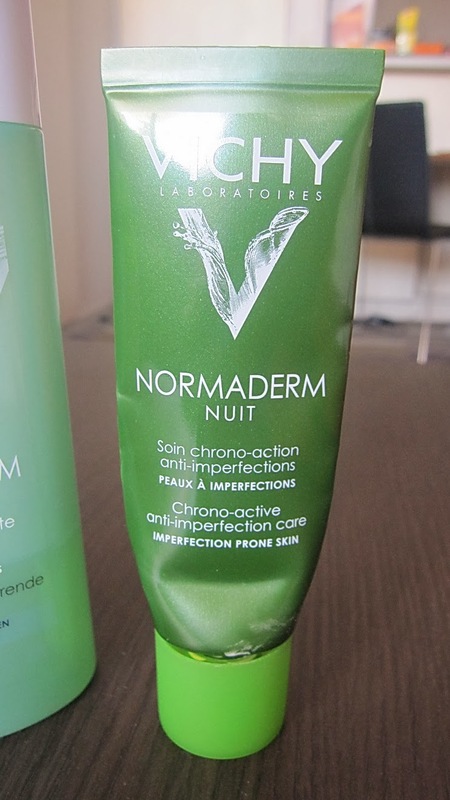 In my case, Vichy Normaderm not only did nothing for my skin; that still would have been OK. But i got even more breakouts from using this product, unfortunately. I am aware of the dreaded "purging" phase. Some may say this phase doesn't really exist, some stress on it, but i want to think that it honestly does happen to some of us. 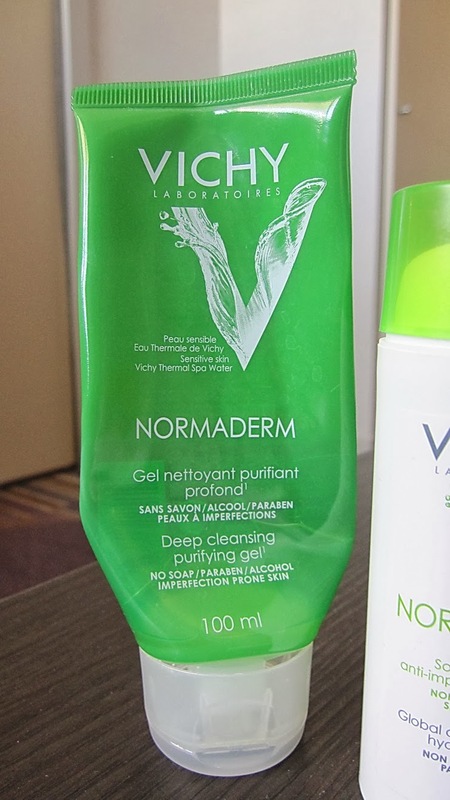 Vichy Normaderm is the second range i've tried that resulted in what i thought was "purging" in the first few weeks, but in the end, it turned out to be plain old breaking out. Which stinks incredibly, of course. Purging supposedly usually occurs for 4-6 weeks, and since this is my 9th week and i'm still getting terrible spots, i'm pretty sure i can safely say this range is simply not for me. It may be for you, and in that case, congrats, lucky you! But different people react differently to products anyway. To say i get "spots" is an understatement actually. 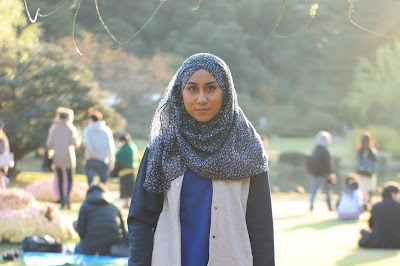 I've been getting painful pimples on my forehead, something that happened to me often when i was in my early 20's, so it was frustrating to get them back, now that i'm 27. 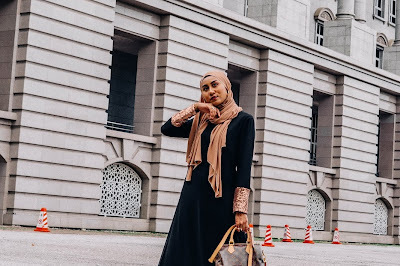 I complained to Shah in the 5th week, but he urged me to stick with it to really, REALLY found out if it's purging or if the products are simply not working. And i'm glad i listened to him, because now i am positive these are a no-no for me, and i would never wonder and try them out again. Plus these are not exactly cheap! I was using Embryolisse Lait Creme Concentre, and as much as i loved that, i noticed the pores on my nose and around it were getting clogged. I didn't really get any major pimples though with Embryolisse, just the occasional little bumps on my forehead. I've tried some active ingredients that are mainly used to combat acne and pimples and such. Benzoyl peroxide worked amazing for me but was too drying. Retinol pretty much destroyed my cheeks. I never used to get pimples on my cheeks, but when using retinol, my cheeks started to get these huge, painful pimples. My cheeks never fully recovered, even until now; painful spots would pop up once in a while, but i use clindamycin to help keep them at bay. Clindamycin did not cure this problem but it helps a whole great deal. With Normaderm, some of these annoying painful bumps came back on my cheek, and i absolutely hated them. 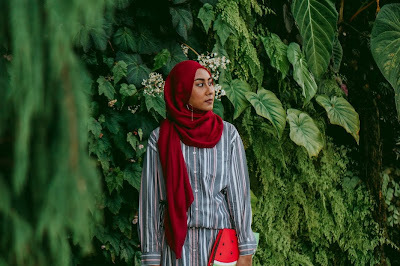 The active ingredient in the Normaderm range is salicylic acid; i don't know if my skin is "allergic" to salicylic acid, or i'm simply rejecting their whole formula. Either way, it's surely the right time to stop using them. It has been really frustrating to get painful bumps on both my forehead and cheeks, and i'm covered in scars now. Thankfully scars do go away for me, so hopefully that'll happen soon! 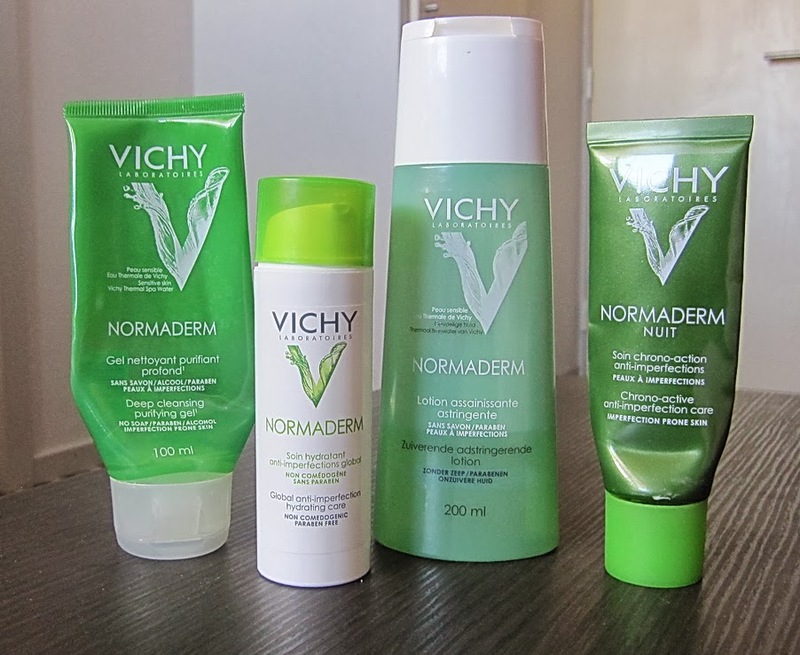 I'm not sure about stopping completely though; i do notice the blackheads in my nose lessens a whole lot with Vichy Normaderm. So i might just continue to use the lotion on just my nose. I do like this facial wash. I don't get that annoying tightening feeling on my skin after washing my face with this, as most facial gel/creams/soaps do. But i can't really say if it does its job. I mean, at the end of the day it's a just a type of soap. I always seem to have a lot of dirt on my face. Obviusly it's invisible to the naked eyes, but whenever i use cotton pads and this toner to cleanse my face, the pad would come off somewhat dirty, no matter how long i wash my face previously. I guess that means the toner does its job? I have no idea. But i always feel my face is cleaner after using this toner. I read many reviews slamming this lotion. People complain about not being able to apply foundation on top because the lotion would kind of scrap off in bits, or peel off. I didn't experience this at first, so i was baffled by what these people were saying. But then i remembered that i always try my best to steer clear of makeup when i start to try out a new skincare product. So when i started to seriously wear makeup again, the same thing happen to me, and i began to really understand their frustration. How very unfortunate! It's also quite sticky, and my face gets shiny quite fast too. I like the feeling of this product. It's not as rich as i thought it would be, as i've always thought night creams tend to be richer than day ones. It's non-sticky, light and the smell is pleasant. When i apply this generously, i can feel it stinging a little. Some people would say that it's a good sign because that means it's working. Is that true? No clue. I started to use this during the day too instead of the Hydrating Care lotion, since this is mattifying and more comfortable on the skin. All in all, i don't have any major serious issue with any of these product, but using them in a system has just not worked for me. Money down the drain? Maybe, but at least i'm no longer curious! So back to Embryolisse for the moment i guess. The hunt continues!